This material pack contains 34 non photo-realistic industrial metal textures to add to your SketchUp materials library. Each texture is 600px x 600px and tileable. 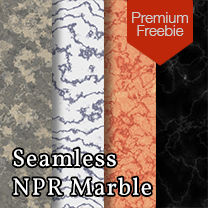 Registered users can download a sample containing 6 textures. Premium Members can download for free. To install into your SketchUp Materials Library you will need to unzip and add the folder as a collection.